The end of the school year can cause a panic in parents. It doesn't matter if you're working full time or at home with the kids, the fears are the same: you don't want your children to spend their summer in front of the TV all day or texting as their only means of communication with the rest of the world. 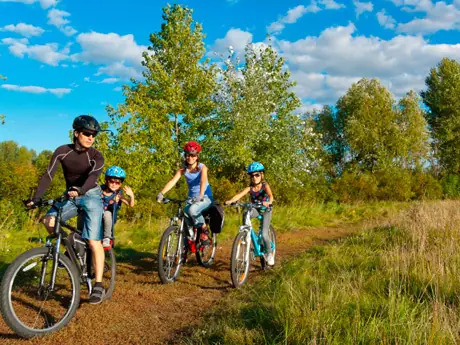 Kids need to stay active and occupied during the summer months to make sure they get the most out of their summer before heading back to school. Research gathered over a 100-year period indicates students score lower on standardized tests when they take the exams at the end of the summer months rather than at the start of the summer, according to the National Summer Learning Association. Ask teachers for summer packets that can help children practice what they learned throughout the year. Make reading a daily habit. Children learn when their brain is active, even if they're reading fun and easy books. Enroll children in a summer enrichment program. Schools or community programs often sponsor events and activities to keep kids engaged. Use the television to your advantage. Make sure educational programs are part of their routine. Slackware.org lists possible channel options like National Geographic, Animal Planet and Discovery Channel. Make sure your child's summer is filled with physical activities. Children need 60 minutes of physical activity each day, including aerobic and muscle strengthening activities, according to the Centers for Disease Control and Prevention. Sign your child up for local recreational or sports programs. Churches, community centers and schools usually host events throughout the summer. Let your child choose what interests them. They may even try something new. Ryan Fernandez loves hiking, spending time outdoors and writing about these pastimes. He and his wife are expecting their third child in December and recently moved to Phoenix.